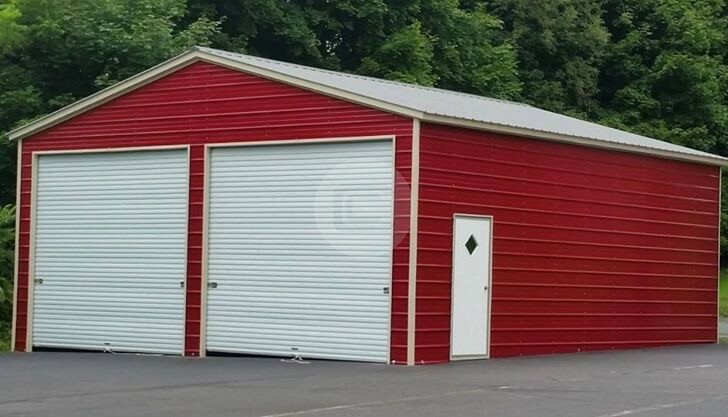 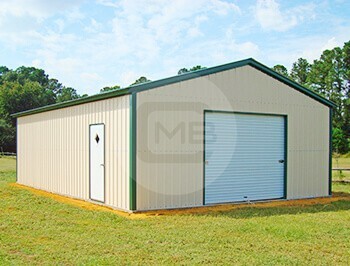 Featuring a detached metal garage 24’ wide x 36’ long x 9’ tall, this detached 2 car metal garage is certified and has vertically closed sides and ends. 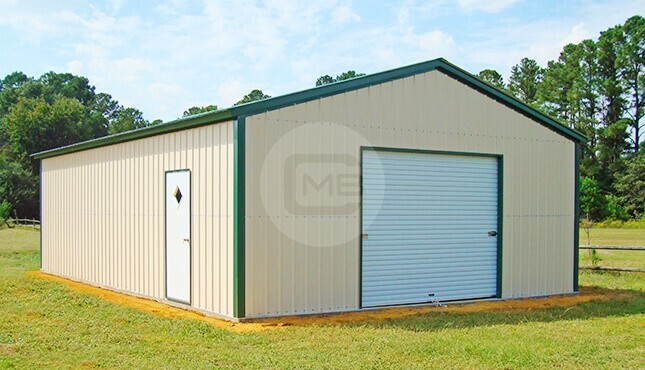 Detached Car Garage built with high-quality metal is a perfect solution when you need additional storage space near your home, can be used for multiple purposes. 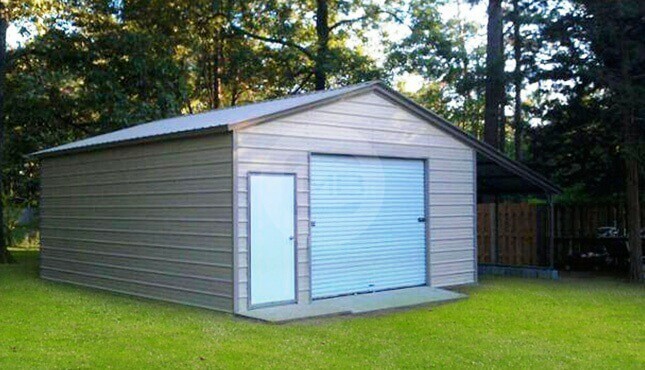 This detached metal garage has 1 (10×8)’ garage door and 1 (36×80)” walk-in door.